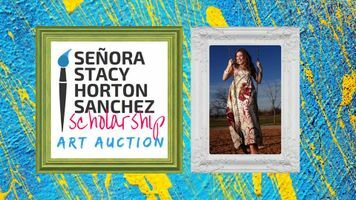 Help us seed the Senora Stacy Horton Sanchez Scholarship fund and carry on Stacy's legacy of love for people and art! We have a goal to raise $20k more for the fund to make a scholarship to a local student this year. This art auction is organized by friends of Stacy and will feature work from highly talented regional artists. Ticket includes drinks and hors d'oeuvres, so even if you don't buy art, come to have a good time for a worthy cause!